Night After Night: Rage and remembrance. 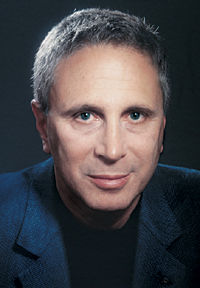 John Corigliano's Symphony No. 1, which received its premiere in Chicago on March 15, 1990, is that rare masterwork any reasonable person might wish had never been written, given that its subject is the fury and inconsolable sadness brought on by the seemingly unstoppable loss of the AIDS crisis. According to various sources, the piece has received some 800 performances since its premiere, a handsome figure by any standard. Even so, tonight's rendition by the National Symphony Orchestra under Leonard Slatkin at Carnegie Hall was my first live encounter with the work. Hard to believe that it's been 15 years since I first heard Daniel Barenboim's Chicago Symphony Orchestra recording on the now-defunct Erato label. I immediately deemed the piece -- imprecisely, I know -- a modern Symphonie fantastique. Like Berlioz, Corigliano is an utter master of orchestration; furthering the perhaps tenuous parallel, he employs a gigantic orchestra, and calls upon it to employ envelope-pushing techniques to tell a story of sorts. But instead of describing a narrative as his forebear did, Corigliano conjures the shades of friends lost to what was at the time a still-mysterious form of devastation, depicting them tenderly while raging at their passing. The vividly pictorial language of Mahler, the terse energy of Shostakovich and the queasy, disorienting slides and slurs of Penderecki all find a place in Corigliano's language here, alongside a heart-on-sleeve lyricism that is all his own. The symphony's third movement is its most moving; in it, Corigliano takes a tune improvised long ago by amateur cellist Giulio Sorrentino, another friend afflicted by the disease, and spins from it a haunting paean for solo cello. A second cello joins the first, representing Sorrentino's teacher, yet another AIDS victim. (David Hardy and Glenn Garlick performed these roles with consummate lyricism.) Other lost friends are conjured by wordless settings of prose lines written by William M. Hoffman, librettist of Corigliano's opera, The Ghosts of Versailles. Tubular bells toll at both sides of the stage; the percussion section paces a solemn funeral procession that dissolves into cacophony. The roar is suddenly silenced, leaving the initial solo cellist to introduce a conclusion of unearthly radiance; the brass section sways inward and outward in waves, while the offstage piano, the tarantella melody and the cellist's "Giulio" theme combine and resolve into stillness. The orchestra's brilliant performance was greeted by a resounding ovation, which grew louder still as Corigliano took the stage. Just as Ionarts reported of a Washington, DC performance back in October, overall surprisingly few patrons departed before or during this second-half performance. (The row in which I was sitting, full for the first half, was nearly empty for the second, but this seemed anomalous.) As for the impact of hearing the work performed live for the first time so long after its premiere, my appreciation of its technical brillliance and emotional impact was comingled with a sense that AIDS has very nearly become a non-issue in the mass media. (I count myself lucky to have not yet lost a close friend or acquaintance to the disease, though one musician near and dear to me has been living with it for quite a long time now.) Despite those 800 reported performances the symphony has enjoyed since its premiere, I couldn't help but wish that this piece might be played all the time, everywhere, to remind us all that the battle is far from won. Tonight's concert opened with Elgar's Introduction and Allegro, a regal, neo-Baroque concerto grosso that showed off the orchestra's strings, in particular the four fine principals of its first and second violin, viola and cello sections. Slatkin demonstated a fine grasp of the piece's dynamic contrasts, and the strings played with handsomely full-bodied tone. Even so, this is a work that has always sounded blurry around the edges to me -- as if every performance took place in some resonant English cathedral -- and so it was tonight. A taut performance of the culminating fugue was followed by a brief stretch in which the orchestra seemed spent and without direction, but everything was put right by the conclusion. Beethoven's Piano Concerto No. 3, which followed, made for a brilliant showing from soloist Emanuel Ax, who offered deft fingerwork in the outer movements and beguiling lyricism in the central largo. Despite Slatkin's best efforts, however, the orchestra seemed hard-pressed to keep up with Ax's flights; wind and brass passages sometimes sounded fairly scrappy. In the end, it was the Corigliano work that best demonstrated this ensemble's virtues, which were considerable.